Welcome to another blog and income update where I will show you how I earned full-time income as a part-time blogger. Income was stable last month, though the traffic fluctuated, it did not affect the income much. This is because I focused on something else last month. I will talk about that later in the post. Last month was also the time where I took part in one of my first big affiliate launches. I have never done that, and it was great. I learned so much from this launch and being with so many big bloggers on the same platform was a great experience. My primary focus for February was to work on Pinterest and SEO, and I see some excellent results. I know getting organic traffic is a long game, but I see small wins already. I am quite excited to share this month’s blog update because there was so much happening last month and I want to give you a peek into how I did my first affiliate launch. It’s a first for me! 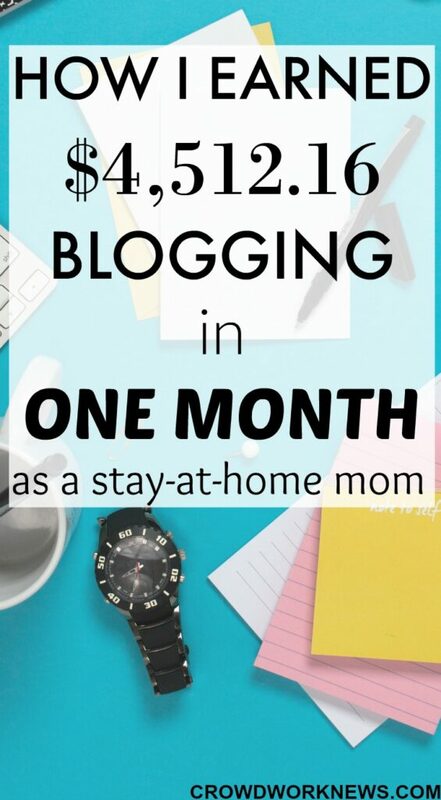 The other two reasons I share my blog update and income report, first to be accountable and then to show you no matter how young your blog is, you can still make money from it. 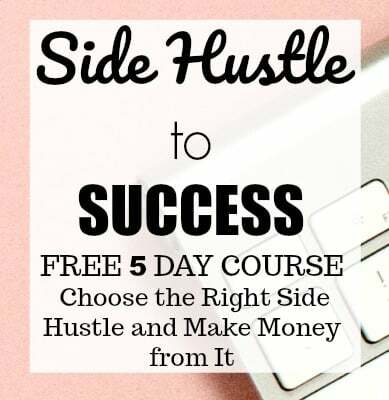 If this is the side hustle you are looking for, then this easy step-by-step guide will help you to get started. If I can do this as a stay-at-home mom, you can too! Page views were down from 166k to 137k. I was expecting this as I knew the page views would settle down from the Pinterest update. I am still averaging around 5k to 6k page views most of the days. Since last month many of my pins are taking off, even updated pins for old posts. After noticing this, I started creating more pins, and they have been doing good too. I recommend you do this, no matter how your traffic is going. Giving new content to Pinterest is what drives page views. This is why I always recommend creating new pins as much as possible. There might be a dip in traffic from now until May if your biggest traffic referral is Pinterest, but keep creating new pins and pinning as usual. It will surely help to keep the page views from dipping a lot. My organic traffic keeps climbing slowly, right now I am getting around 130-170 organic page views every day. This gives me hope to work more on SEO. I am using Google Keyword Planner for finding the keywords. But this is only one part of it, doing a lot of on-page SEO, building good backlinks are a big part of Search Engine Optimization. The Blogging club I am in has a much in-depth SEO course which talks a lot about using SEMRUSH. I am going to focus more on using SEMRUSH from this month. 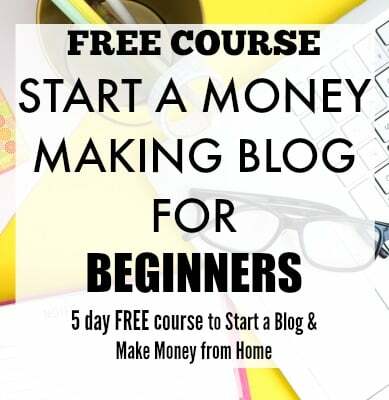 This course is closed for now but you can join the FREE blogging bootcamp. My list is growing fast, and I have another SUPER useful freebie for my readers this month. I have been talking to subscribers a lot and trying to find their most significant challenges. I hope this freebie will be able to help them. My email list is the reason for my stable income even though my traffic was low last month. I signed up for a very in-depth auto responder course – AutoResponder Madness (ARM). This course has helped me a lot to reach out to my readers and help them with their challenges. The best thing about this course is, it is created by a person who does not have any expert skills in copy writing and has generated six figures with little email lists like less 3,000 subscribers. Can’t thank Andre enough for creating such a great resource! I work more on Pinterest than any other social media. Now that the Pinterest update has been completed, I might see low page views from Pinterest. Nevertheless, I am creating new pins, joining new group boards and pinning more. Though I pin manually everyday, I loop my boards with BoardBooster, and use Tailwind to find out how my pins are doing on group boards. It’s important to find out what pins are doing good, which boards have most repins and what timings work. Tailwind has been quite helpful to analyze the right timings to pins. I highly recommend manual pinning because that’s what got me from 700k to 2.3 million monthly viewers on Pinterest. And to pin manually, I recommend Carly’s Pinteresting Strategies. Pinteresting Strategies eBook will be the only resource you need to get started. If you have been pinning manually for some time, you might want to grab Jennifer’s Pinterest Improvement Master Plan. This is a very in-depth course that will teach you a lot about Pinterest and how it works. I continue to get reasonably good traffic from Facebook. Last month, I experimented some new tips running Facebook ads, and I was able to get the CPC down to $0.05. I will be focusing more in this month. I am also planning to run Facebook ads every month to see if I get better with it. By now you must’ve known that I love side hustling and Instagram is one medium where I see a potential to start another side hustle. Both traveling and photography are my passions, and I would love to create a side hustle around them. On a personal level, I love posting on Instagram, and this is something I enjoy a lot. Last month my income was $4,512.16 before expenses. Most of it was from affiliates and display advertising. The income was stable mainly because of two things. I participated in an affiliate launch, and I diversified my income sources last month. You can see that there are many affiliates that are new and they are very helpful for my readers. I love affiliate marketing for the fact that it is mostly passive. If you want to learn affiliate marketing in the right way, then you need to grab the course that got me started in affiliate marketing. Making Sense of Affiliate Marketing is the course that made a massive difference to my earnings right from the start. Though I do want to focus on sponsorships now, I might look at that in the second quarter. The biggest thing I did last month was using all the tips and strategies from ARM for the affiliate launch. I have always loved auto responders but it was a daunting task to write them. Andre’s course gave me a lot of insights on how I can create great emails without being a copywriter and most importantly get great results with small lists. If writing emails is your biggest challenge, I highly recommend this course. I have been experimenting with Facebook Ads and intend to do more in the coming months. Last month was also special for me as I started another side hustle related to travel and photography. Will be updating you how it goes. The thing that I learned about myself was, I can be good at emails. Taking Andre’s course was a big turning point for me, and I loved it. Because social media traffic can fluctuate, your income does not have to be dependent on it. If you work on your email and SEO a lot, your blog income can be high in spite of low social media traffic. You need to make your list building as a priority. I have fantastic side hustles lined up for this month. I continue to find new side hustles that let you work from anywhere. I am still working towards getting 200k page views and reaching 10k income before the year ends. Update: All the below resources have helped me immensely to reach this point. I highly recommend them, and they can be quite helpful to all of you no matter at what stage of blogging you are. I am happy to answer any questions you may have about these resources. Facebook GPS – Tracie is a pro when it comes to Facebook strategies, and her course is a complete guide to growing your Facebook growth. My reach is increasing every day as I keep implementing tips from this course. Strategies Worth Sharing – An eBook which I bought even before starting my blog, and it helped me to reach 700+ likes on Facebook. With Facebook being the second biggest referral for traffic for many bloggers, you need to invest in this resource to grow your traffic. How did you go with your blog last month? Please comment below.